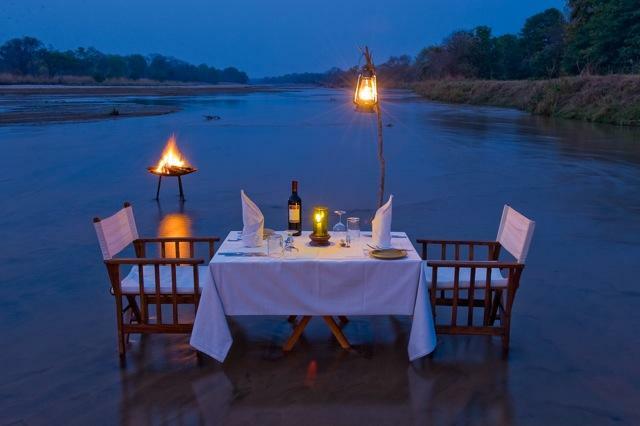 At Kapamba Bushcamp, watching an elephant take a dip in the river can be quite an experience when you’re lounging in your own private plunge pool. 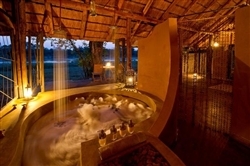 Accommodation at Kapamba is in 4 spacious en-suite chalets. 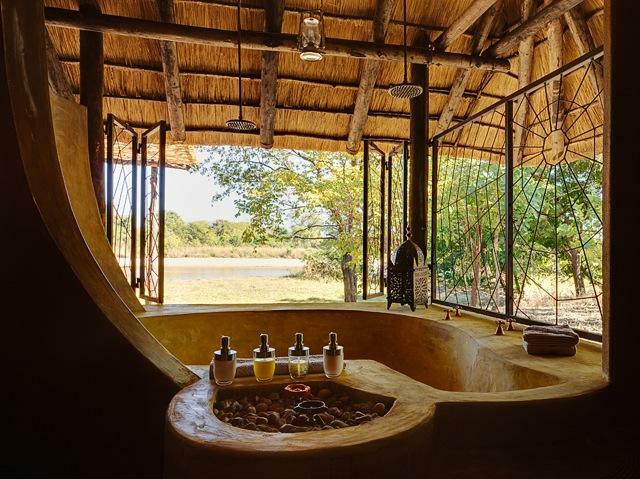 Cool, simple and original, these entirely open-fronted rooms boast wide verandas with river views, twin showers and sunken stone plunge pools – something of an indulgence. Clever wrought-iron shutters are drawn each evening so that you can enjoy the sights and sounds of the African night without worrying about unwanted visitors. 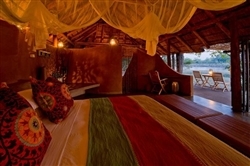 Two of the chalets have twin beds (queen-sized beds), while the other two have king-sized doubles. 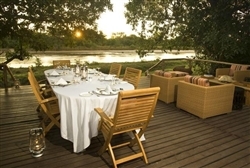 The central bar and dining room is positioned under a grouping of matumi and sausage trees, with a wide deck that stretches out, allowing for excellent views of the Kapamba River. And if that’s still not close enough for you, you might want to enjoy a refreshing drink from the middle of the river itself, your feet dipped in the cool, crystal shallows. 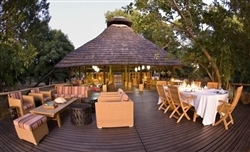 Explore the area, with it surprising diversity, on guided morning and afternoon walks, and game drives. The afternoon drive continues into the evening, allowing you to learn more about the nocturnally active creatures. 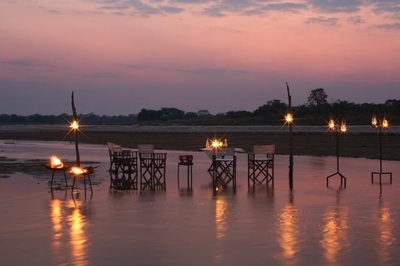 On special occasions you can also enjoy an afternoon wading through the cool waters of the Kapamba where a scenic sun downer or special meal will be waiting for you. 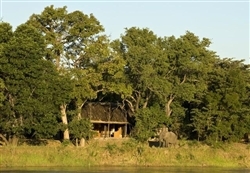 Children over 12 years are welcome at Kapamba Bushcamp, but those under 12 can only be accommodated if the camp is booked out for private, exclusive use.